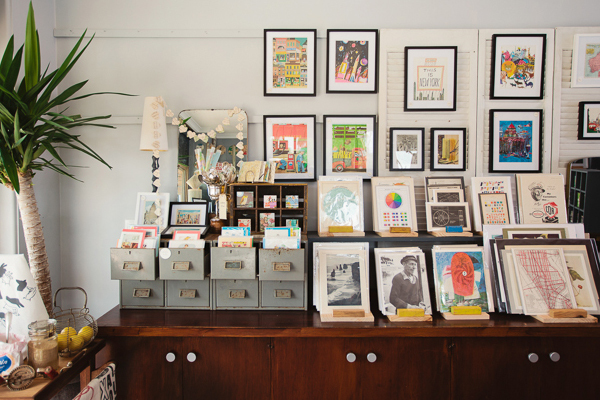 FK chats to Martine of Vintage Prints, an inspiring Victorian based stationery label that just makes you want to write to all your friends! Tell us a bit about Vintage Prints and what we can expect to discover? We reuse vintage materials, remaking them into new products, allowing them to be re-loved by a new audience. Vintage Prints is about connections, authenticity, and reliving those fond memories from the past. Customers will often be transported back to happy childhood memories as soon as they see or touch one of our products. It gives me a warm fuzzy feeling when that happens! Our focus is on the concept of reuse, the vintage source materials and the process of design. 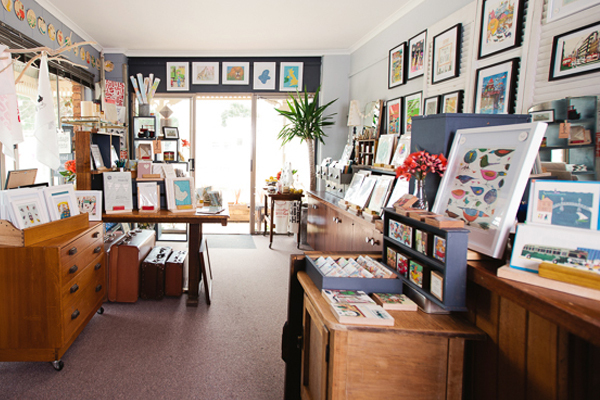 When you visit us at the Sydney market you’ll find lots of original vintage illustrations and maps that you can frame; handmade picture blocks; handmade stationery including cards and envelopes; bunting and garlands made from vintage paper; and limited edition products such as our Pianola Shadow Lights. 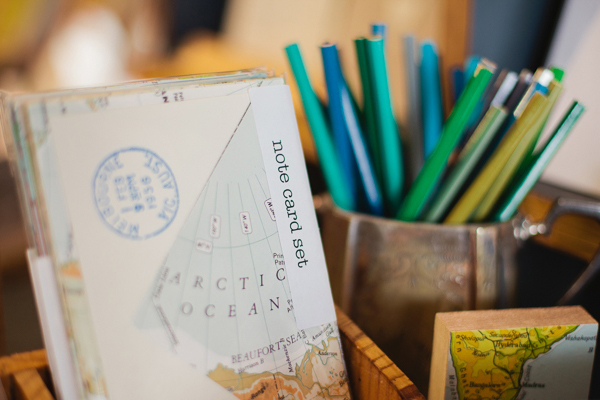 What is your background and how did you started working with stationery? I studied Graphic Design in the mid-1980s and then worked for about 12 years in the industry, before moving into web management. 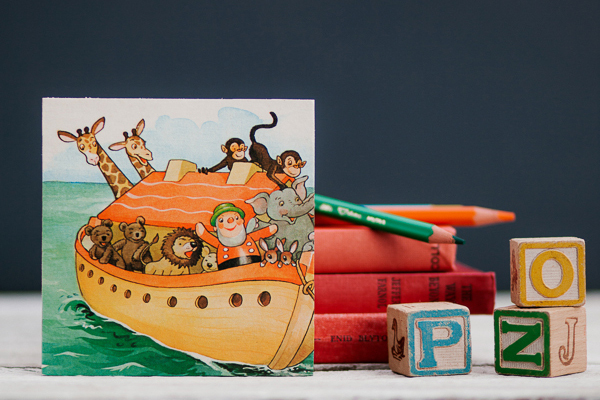 I was trained the old school way – before computers – so beautiful paper and the art of printing are passions. Hence the interest in vintage books. I discovered a vintage 1878 atlas in an op shop – I know, best op shop score ever – and that really started the whole ball rolling. It was the most exquisite thing I’d ever seen. Gold foil and embossing on the cover. Letterpress printing. Coloured lithographs. Great design and amazing detail. I started collecting vintage books as a way of rescuing them from landfill. Soon I was thinking of ways to reuse them, and let a whole new generation see the beauty of the printed pages. 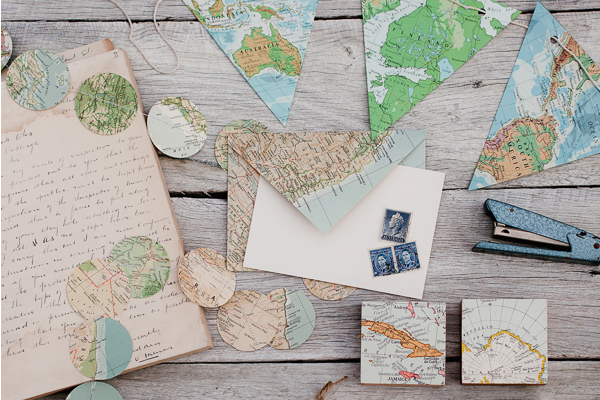 It started with vintage illustrations and maps to frame, then hand folded envelopes, then garlands and bunting, and it just kept going from there. My work is inspired by three things: the original vintage materials I find; the concept of reuse; and the design process. 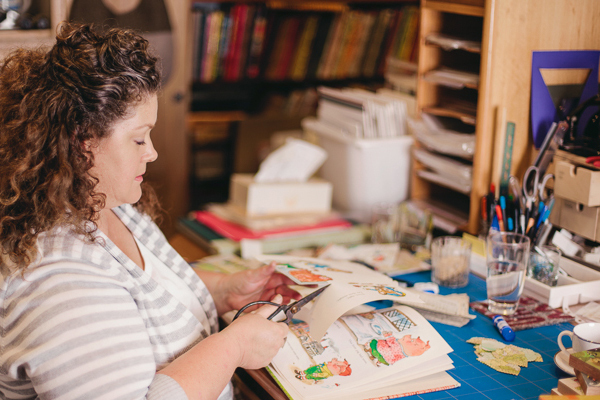 The materials I use are original vintage books or paper ephemera ranging from the 1880s to the late 1960s. They have a quality, craftsmanship and patina that is just so beautiful, and I try to retain this in the finished product. 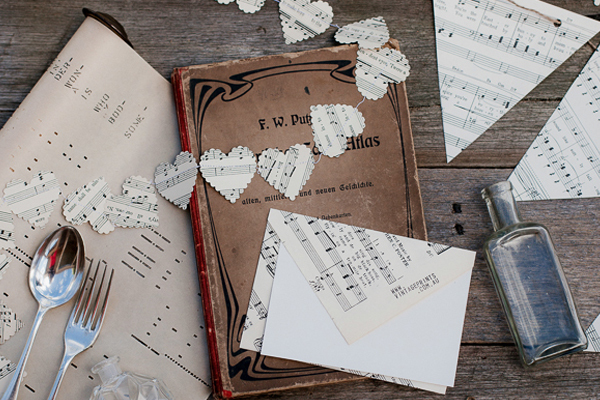 The fragile nature and ephemeral quality of the printed paper makes it even more appealing. The concept of reuse is integral to my work. The materials I find have been discarded after outliving their original intended purpose or use. Yet they are still so beautiful as objects in themselves. My desire to reuse them is twofold – to save them from landfill and to let a new audience appreciate their beauty. The materials have a history, a past life which is still evident even after I have reworked them into a ‘new’ product.The design process is important to me as a creative individual. And I make the distinction between design and art, as I formally trained as a designer. Design is a process, its about challenges, constraints and solutions, and ultimately the end user. I’m lucky enough to have a studio located in an industrial estate. I’ve tried to turn it into a little creative oasis amongst the concrete and brick, filled with all the things I love. When you step inside its like you’ve stepped back in time. During school holidays and weekends I often open the studio to the public and its wonderful seeing people’s reactions to the studio and the products. Like any other creative workspace it’s messy, full of bits and pieces I collect, lots of vintage books and tools of the trade. I normally have Ella Fitzgerald singing Cole Porter on the iPod, some candles burning and the scent of lavender and sweet orange in the air. Lots of succulents potted up in old metal tubs and trays. And cups of tea and chocolate biscuits make a regular appearance. I live on the south cost of Victoria, a rugged shoreline of cliffs, rocks and crashing waves. Daily walks on the beach – in all weathers – keeps me inspired. Where do you source vintage maps for your range? and are their challenges in doing so? Maps are a favourite for me, they are such great examples of design. Most of the maps I use are from vintage atlases dating from the 1930s to 1960s. Even though the content of each atlas is almost the same – maps of all the countries and continents – the colours, style, typography and printing is unique from atlas to atlas. Initially I sourced the atlases from op shops and book stores, but its becoming harder to find them. So many people just chuck them out when they move house, downsize or their parents move into a nursing home. For that reason I buy them whenever I see them and I have a little stockpile in reserve. But if anyone has a vintage atlas, let me know! What new projects are you working on and where would you like to see Vintage Prints in the future? I’m developing a new product that utilises all the beautiful pages of letterpress typography from old dictionaries and encyclopaedias. I haven’t been able to use them in the past and I have heaps of them in the studio. The product is a cross between bunting and inspirational words. They’ll be launched at the Sydney market. As for the future, I’d like to see Vintage Prints become more financially sustainable, and have our products stocked in some of the more interesting retail stores and galleries. I don’t want it to grow too big though, keeping products handmade from original vintage materials is our focus. A move into accessories and homewards is on the cards. I’ve designed and made a range of bags from vintage Harris Tweed jackets, and scarves from vintage kimono silks. Next up is a range of homewards made from vintage textiles. Long term I’d love design and create custom and bespoke ranges for a select group of retailers, using fabulous, limited edition vintage paper and textiles. Image credits – photographer Brenner Liana. Such beautiful, thoughtful products. Congratulations Martine! It warms my heart to see designers taking vintage materials that would otherwise be thrown away, and upcycling them into these beautiful creations. 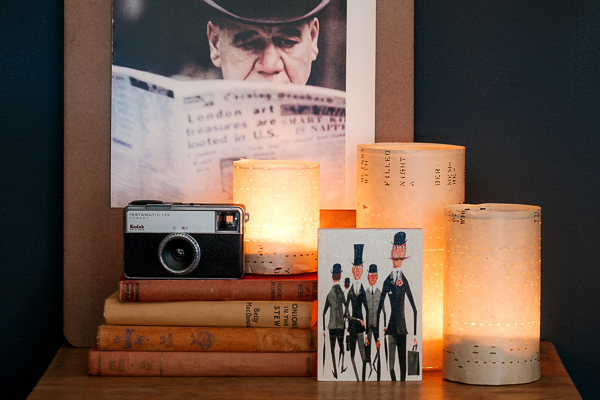 The pianola roll candleholders are truly inspired!! Wonderful products with a clear eye for design.